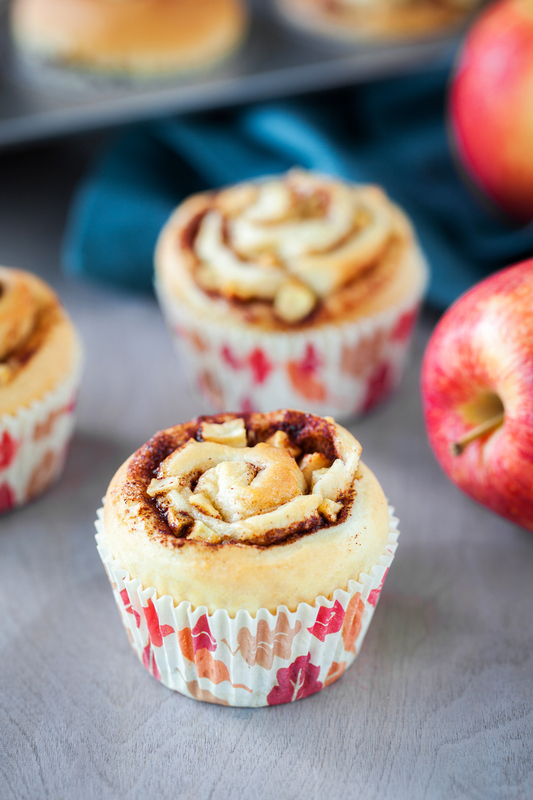 These Apple Cinnamon Cupcakes are such a delicious blend of fall spices and sweet apple bits. It’s taste is similar to a cinnamon roll with a fall flavor and packed in a sweet cupcake shape. As much as I love the lazy days of summer and the fresh grilling, parties and outings it brings…. I absolutely love fall! I love the comfort of sweaters, the warmth of hot cocoa and the delicious flavors fall brings! 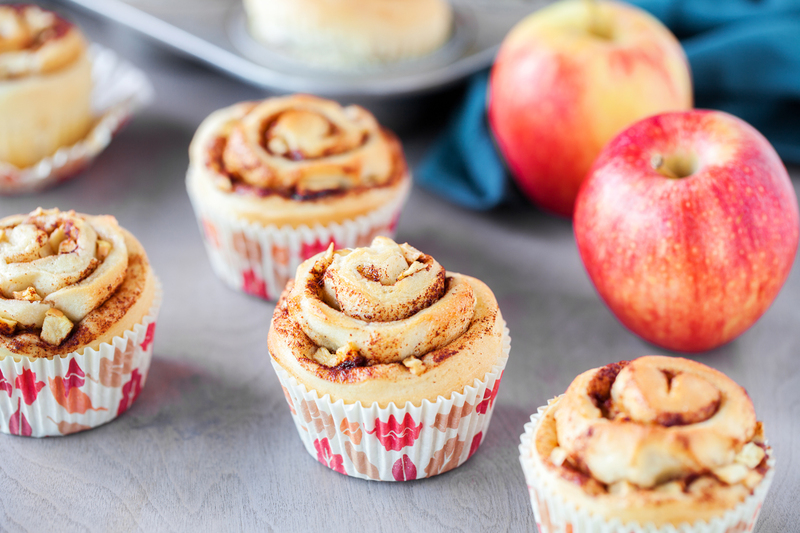 One of my favorite desserts involves apples and cinnamon and these apple cinnamon cupcakes are delicious! 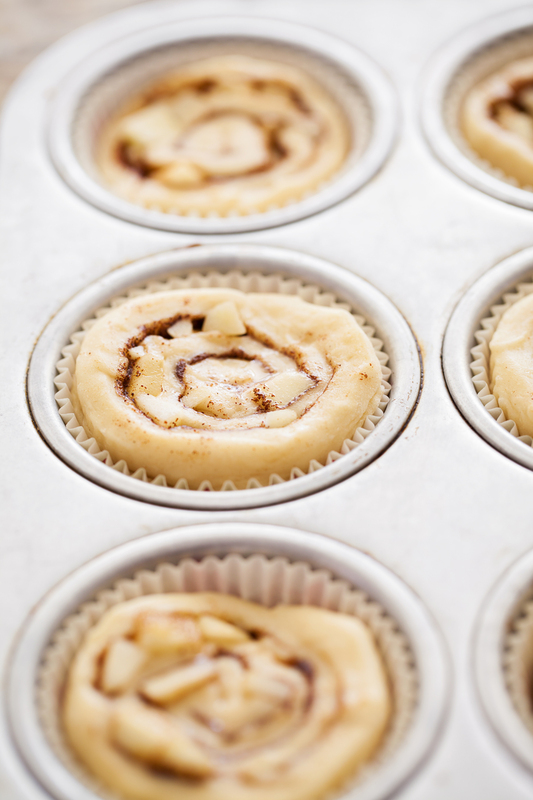 They have the typical feel of a cinnamon roll but baked in a cupcake/muffin pan! 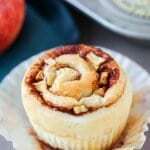 It’s the perfect mix of cinnamon roll meets apple pie all rolled up in a cute package! 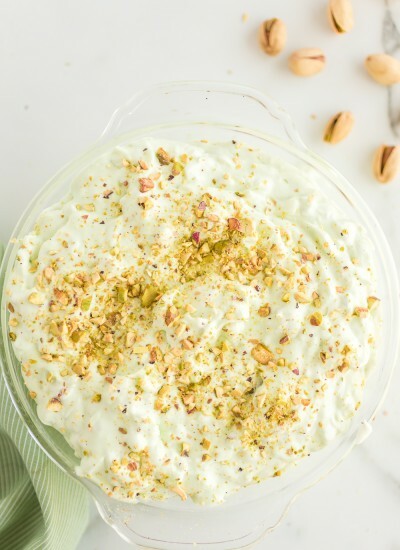 Pair it with a cup of coffee or a glass of cold milk and your taste buds will thank you! 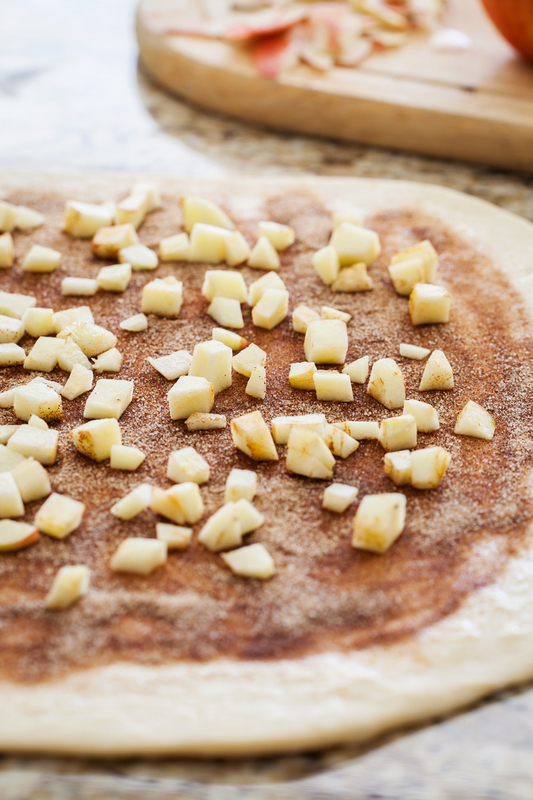 You start with a delicious cinnamon roll dough and top it with a delicious blend of cinnamon, sugar and tiny bits of apples. My families favorite type of apple to use in apple desserts are Pink Lady or Honey Crisp. 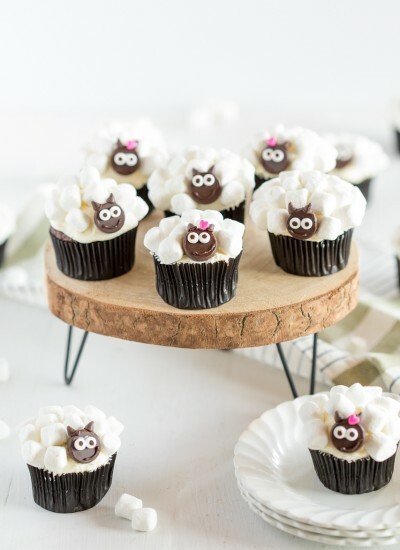 They have a slight tartness to them that goes perfectly when paired with sugar. 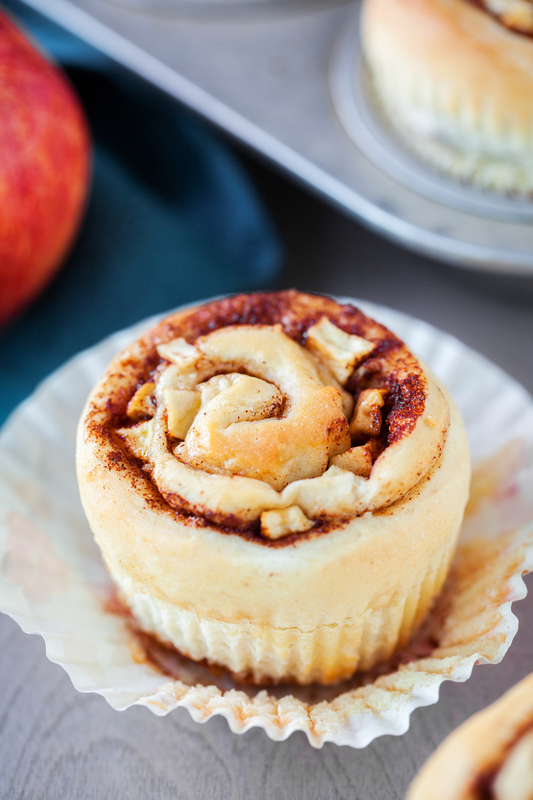 You will roll up your cinnamon apple cupcake dough the same way you would if you were making cinnamon rolls. I cut the dough into 1/2 inch thick pieces which seemed to make the perfect cupcake. Friends….your kitchens are about to smell amazing! The smell of fresh dough is heavenly enough but then you add some sugar, cinnamon and apples and that needs to bottled up! 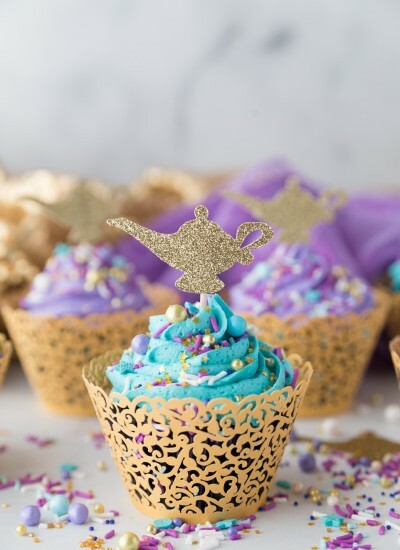 Make sure towards the end of baking you keep an eye on your cupcakes…..you don’t want the sugar and cinnamon mixture to start to burn. In my opinion, these are best served warm but they are just as good at room temperature. Set aside 1/2 cup of flour. Mix together remaining flour, sugar, salt and yeast together. In a separate microwavable bowl mix together water, milk and butter. Heat in microwave until it's about 120 degrees. Add the egg and remaining flour until the dough pulls from the side of the bowl. Place dough in bowl and allow to rise for 10 minutes. Roll out the dough to form a large rectangle. Mix together sugar and cinnamon. Dice your apples. Lightly spread the softened butter onto the dough. Sprinkle the sugar mixture and diced apples onto the dough. Roll the dough tightly and cut into 1/2 inch thick pieces. Place in a lined cupcake tray. Preheat your oven to 200 degrees. Once your oven reaches 200 degrees turn it off and place rolls in the warm oven. Allow to rise for 20-25 minutes. 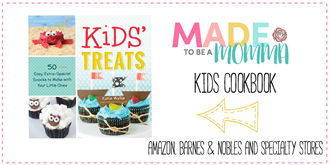 Remove cupcakes while your oven preheats to 375 degrees and allow to bake for 20-25 minutes. Place a piece of aluminum foil on top towards the end of baking so your tops don't brown. Hi! I was just wondering about the ingredients…it doesn’t list the amount for cinnamon/sugar/apples….thanks! These look good! 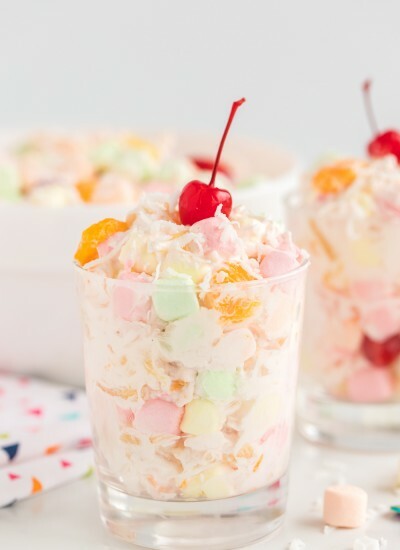 What is the recipe for the filling? Seems to be missing from this page. How many apples does it need and how much sugar/cinnamon? How many does the recipe make? There doesn’t appear to be a recipe on the page? Thanks Katie! Pics look amazing. 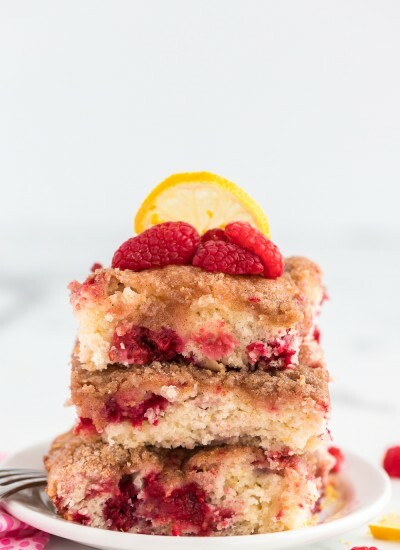 Can’t wait to try recipe this weekend ?